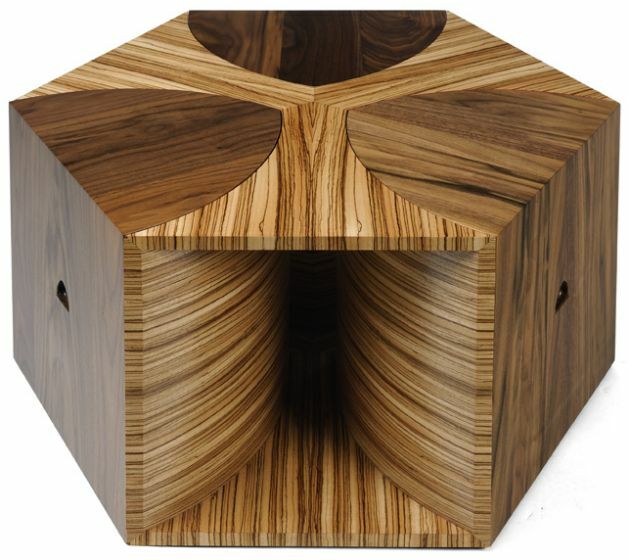 British designer Toby Howes has sent us the Escher coffee table. As the name suggests, the design was inspired by one of Escher’s bird & fish tessellation sketches & proved every bit as difficult as it looks to perfect all the angles! I wanted to create a modern design piece that combined my usual simplicity of style with a real edge & this is the result. I’m a strong believer in William Morris’s design philosophy “Have nothing in your houses that you do not know to be useful or believe to be beautiful” & I hope the Escher table fits the bill on both counts. 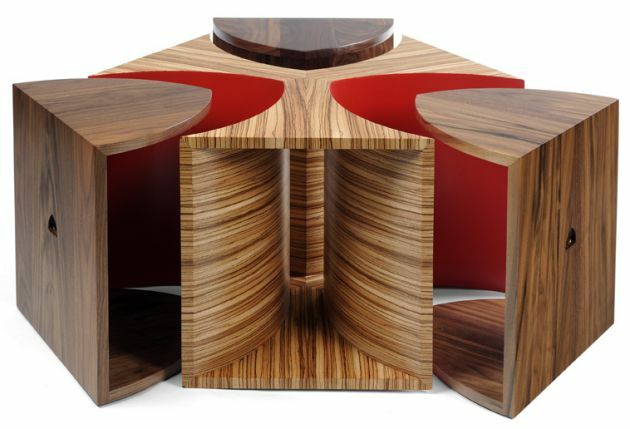 Each of the three walnut inlaid arcs slide out to become side tables in their own right, leaving the central zebrano piece to become more & more sculptural as each arc is removed. 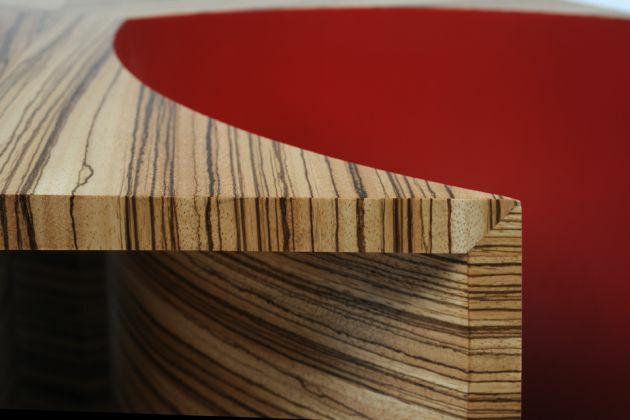 The zebrano wraps around the inside of the funnels of each ‘arm’ of the central piece to form a funnel, rather like that of an old-fashioned gramapohone, that draws the eye in through the centre. This is especially effective if light is streaming through one of the funnels & I have been working on a version with a light actually built into the heart of the table to achieve exactly this effect. 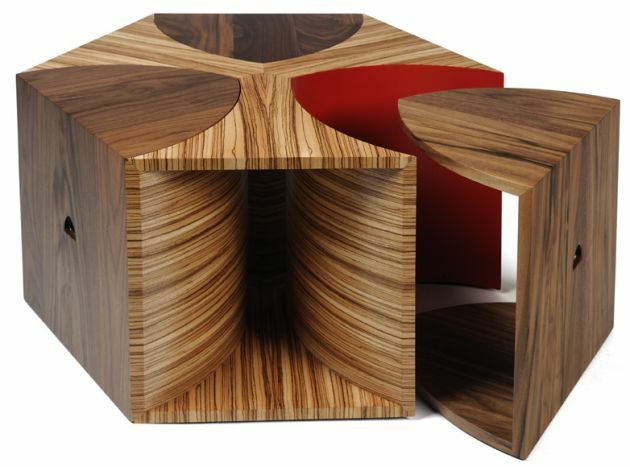 The flashes of red on the sides are completely hidden whilst the table is whole & are only revealed as the arcs are removed.